Lewis Hamilton picked up at Monza where he left off after last year’s Italian Grand Prix: right at the front. 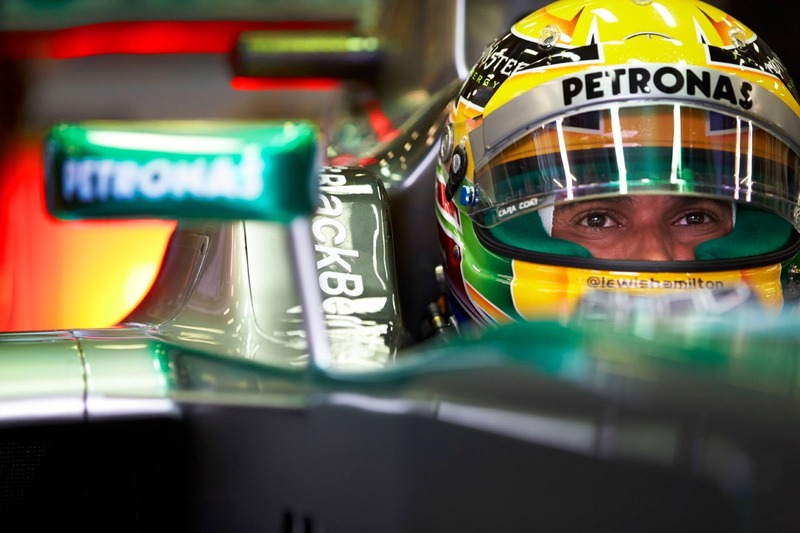 He’s driving for a different team – Mercedes instead of McLaren – but it’s clear that he has as much sped as ever. Not that he has it all his own way, of course. Fernando Alonso was second fastest, just 35 hundredths of a second slower than Hamilton. Ferrari have seldom needed a win as much as they do this weekend. Fernando Alonso is 46 points behind Sebastian Vettel in the Constructors’ Championship and cannot afford to allow the gap to widen any further at this stage of the season. Fortunately for Alonso, Monza is a circuit that suits the Ferrari but highlights the weaknesses of the Red Bull. Christian Horner, team principal of Red Bull, told the BBC commentary team during FP1 that he would be happy with a podium finish, suggesting that he expects his cars to lack the pace required to challenge for victory. Based on the FP1 results – which are generally not very useful for predicting race or qualifying results – Mercedes and Ferrari are looking strong, with Red Bull and Lotus trailing slightly behind. Whether or not that trend will continue through FP2 and into Saturday’s sessions remains to be seen. Monza is a low downforce track, which means those teams who have struggled earlier in the season as a result of their aerodynamic packages can hope for improved results this weekend. McLaren will be hoping to deliver a strong result, making use of their powerful Mercedes engines on the long straights. Jenson Button and Sergio Perez have yet to stand on the podium this season, but Monza provides perhaps their best opportunity yet to break into the top three on Sunday. Williams will also be hoping for a points finish. They showed good top speed at the Belgian Grand Prix two weeks ago, but suffered in the twisty parts of the track. At Monza, there are no twisty parts to the track. It’s all long straights and chicanes, which should suit the Williams FW35. Read my FP1 session report at F1Plus.com. I'm fanatical about racing. Driving, watching, following, analysing, everything.